You are here: Home / Frequently Asked Questions / Can I Reopen my Case After Settlement? Can I Reopen my Case After Settlement? Settling a workers’ compensation claim can be very tricky. On one hand, insurance companies do not have to settle and you cannot file any action at the State Board to compel any sort of lump sum payment. However, if you do not settle, you run the risk that at some point, your claim will get stale and you will lose settlement value. Remember that insurance companies settle to eliminate uncertainty – they settle to eliminate an open ended risk. 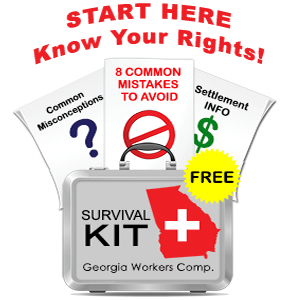 I have been representing injured workers in Georgia for over 25 years and I can advise you about when and if it makes sense to consider a lump sum settlement. Please call me at 770-351-0801 if you are not currently represented and want to talk about how workers’ compensation settlements work.